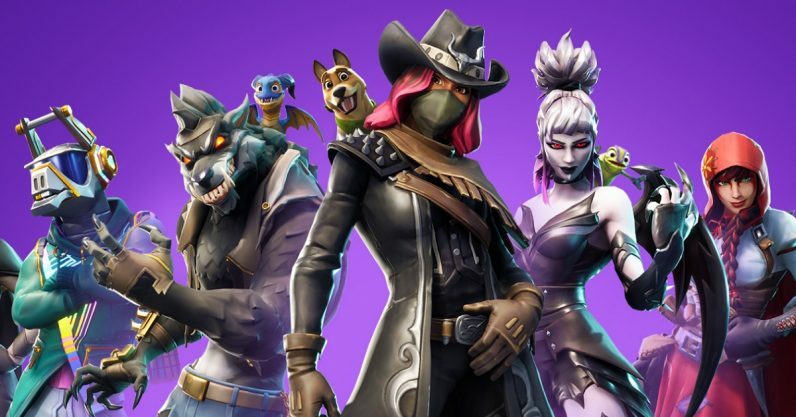 Fortnite’s Season 6 update added a small animation update — one which gave some characters a little extra bounce. Gamers certainly didn’t seem to mind, but Epic Games might have overreacted just a bit. One of the first people to notice was streamer Agony, who posted an illustrative gif of the new… um, feature. I was, naturally, eager to see the response, because if there’s one thing I can count on gamers for, it’s to respond to any issues involving gender and the female body in a sober and rational manner. But when you think about this, there’s a bit more going on here than a few people on Twitter having a laugh over jiggle physics. The issue runs a bit deeper than that. And considering the popularity of Fortnite, this is not something that should be dismissed out of hand, for one reason: Epic Games’ reaction. Surprisingly, gamers on Twitter were very blase about this. If they weren’t assuming it was a glitch, their reactions were basically a giggle and a shrug. I don’t think I came across a single tweet that expressed genuine upset or lascivious glee. Unintended? Uh huh. You know, Epic, I never bought the story that Lara Croft’s generous endowment was due to a coding error, either. I’m not sure why you expect me to start now. Unlike the real thing, in-game breasts do not inherently know how to jiggle, so I’m guessing someone at Epic programmed them to. I’d buy that leaving it in was a mistake, but not that its existence was accidental. Careless? I do wonder what your QA testers were thinking. But embarrassing? Well, not really. Or at least, it shouldn’t be. We’re not talking about the ladies of Dead or Alive, spitting as they do in the face of physics. It’s a tiny and (if we’re being very honest) realistic animation of a female body, and it’s a bit silly that the first reaction Epic had when anyone noticed it was to give a figurative blush and hastily cover up. I realize that, as a game oriented to be as kid-friendly as possible, Fortnite might not want to confuse or titillate its youthful audience, but the slight tremble of an in-game figure is not the big deal Epic might imagine it is — unless you make it one. By responding so sheepishly, Epic is making it one. You know what I say? Leave it in. By making a big deal about it, you’re acting as though this quirk of the female figure is something to be ashamed of — and it’s really not. These things just happen in real life, and to make it seem like they’re something that should be “fixed” just feels a little insensitive. Still, it appears Epic won’t take my advice. It has since patched the animation out, pleading for patience while it ensures said patch doesn’t glitch the new skins.